My sister came to visit last weekend from Minneapolis (key player in gathering of the 32.8 pounds of apples). Just before she boarded her plane, she texted my husband and me that she was bringing a special surprise. These are the kind of people we are. We assume that bringing a burger stuffed with hot, melty cheese across state lines is perfectly normal. My sister kindly noted that these probably wouldn’t be delicious by the time she arrived, but promised she was bringing something equally tasty. Holy (bag of) cheese curds. My sister knows me all too well. We adapted a Smitten Kitchen recipe and made a (small) dent in our 32.8 pounds of apples. **NOTE: We doubled the recipe (single recipe listed here)…which I don’t really recommend, unless you have a standing-bowl mixer or a very, very large food processor. It made the dough sort of hard to manage. 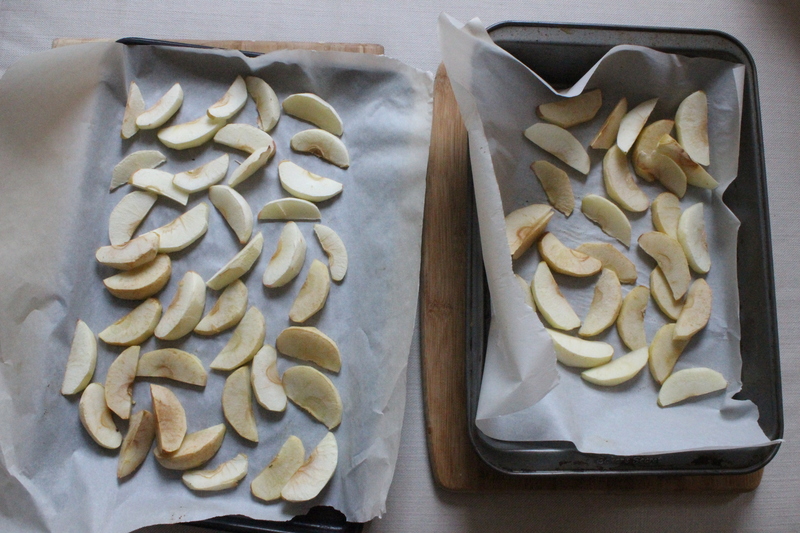 Placed peeled and chunked apples in a single layer on a baking sheet lined with parchment paper and bake them until they take on a little color and feel dry to the touch, about 20 minutes. . Let them cool completely but leave oven on. Generously flour your counter top and place the scone dough on top of it, sprinkle with more flour. Use a rolling pin (you may want to actually cover the dough with saran wrap, to minimize stickiness) to roll the dough out. Use a glass or circular cookie cutter to cut the dough into cookie-like scones. Transfer cookie/scones to a baking sheet ined with parchment paper. Leave at least 2 inches between each scone. Make your egg wash: beat remaining egg in a small bowl with a pinch of salt. Brush the scones with egg wash and sprinkle them with remaining tablespoon of sugar. Bake scones at 375 for about 30 minutes. Devour. Oh my gosh, I didn’t realize you had MN ties. 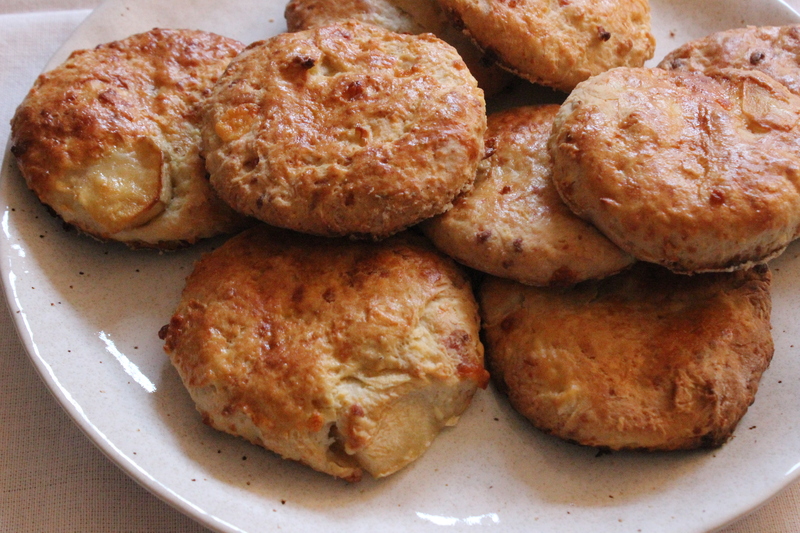 I’m from there (although not originally) I love the idea of these scones, you betcha! So fun. BTW, I have Jucy Lucy’s on my blog, although the photos are horrible, the method is spot on! My sister is living in MN right now – and I have to say, I LOVE the food there. Like, LOVE. I need to spend more time eating cheese curds and Jucy Luc’s. Next Next post: So, something happened.